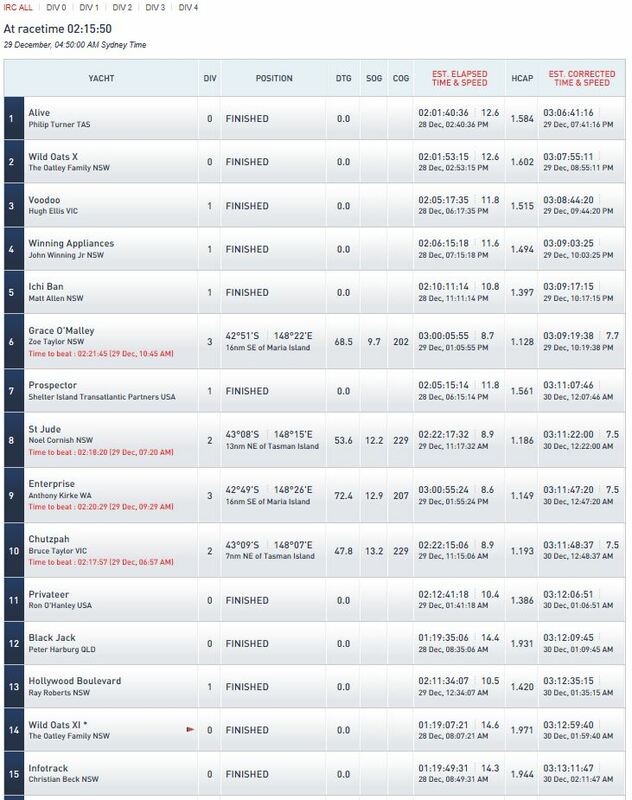 While the super maxis were hard at it from start to finish in the Rolex Sydney Hobart, two Reichel/Pugh 66s were also hard at it not too far behind them; Phillip Turner’s Tasmanian Alive and the Oatley family’s Wild Oats X, skippered by Stacey Jackson. In the end, and much to the delight of the locals in Hobart, Alive was victorious over the line and overall from the pro all-female crew by a nick under 13 minutes when she finished fifth over the line at 2.40.36 this afternoon. 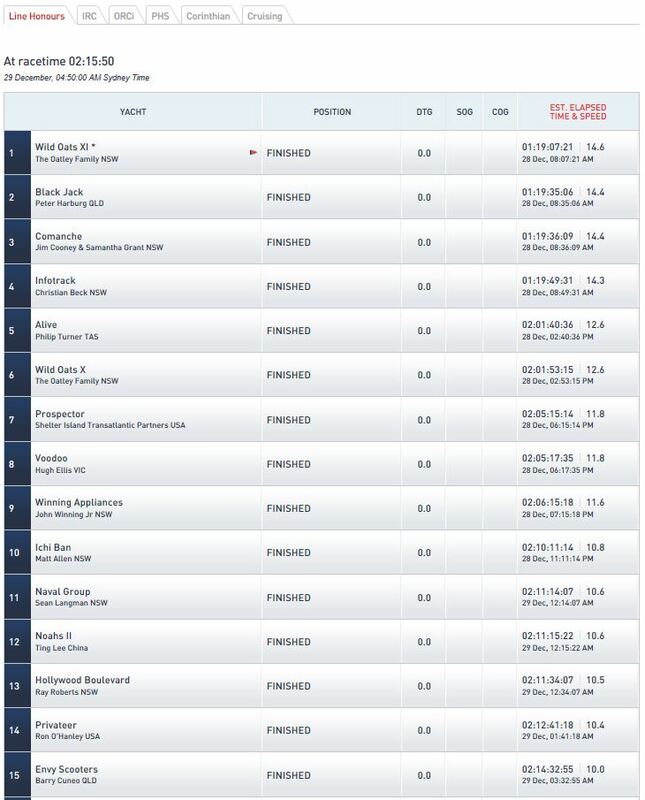 Currently the Taswegians are second overall in the standings, but will have to wait it out to see whether others still racing can beat their time in the Cruising Yacht Club of Australia’s 628 nautical mile race. Jackson signed off on her 12th Sydney Hobart this afternoon when she and her crew on Wild Oats X, owned by the Oatley family, crossed the Derwent River finish line. She was sixth boat to finish - five behind Wild Oats XI, which is also owned by the Oatleys, and won line honours earlier in the day. 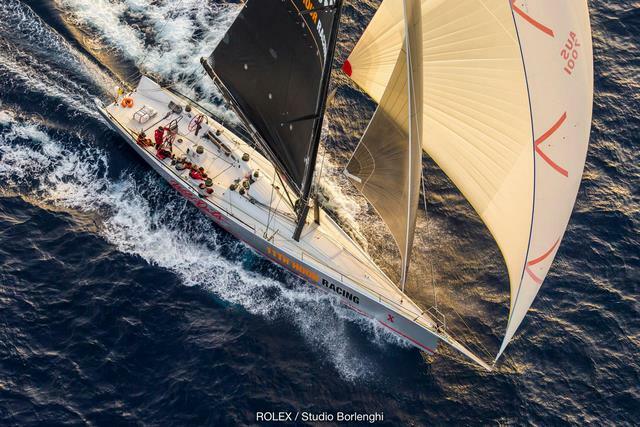 Jackson said she and her crew were held in suspense as they waited to learn the fate of Wild Oats XI as it fought a thrilling race for line honours with Black Jack, Comanche and InfoTrack, which finished in that order. 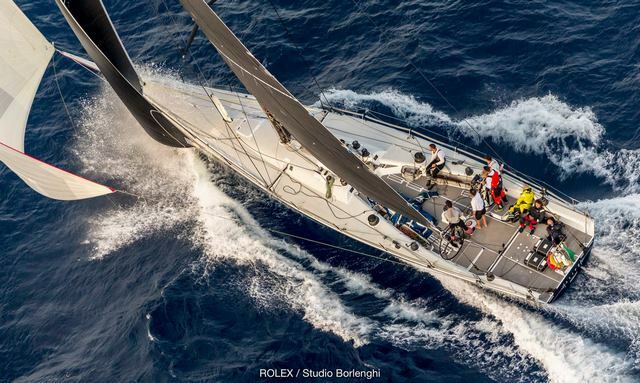 The Wild Oats X skipper will be awarded the Jane ‘Jenny’ Tate Memorial Trophy for the first female skipper to complete the Rolex Sydney Hobart Yacht Race at the official prize giving on 31 December in Hobart. There are 72 yachts still racing, after 2 Unlimited retired after hitting a sunfish and breaking their rudder; they are heading to Triabunna. The fleet is at 79 yachts.